This is a Christmas cabaret comedy chat show with music. The Asian Ellen DeGeneres aka Lubna Kerr and her very special guests. Comedian Joe McTiernan and Mico Hunter, musical comedian Rosie Houlton and singer Martyn McGilvary. 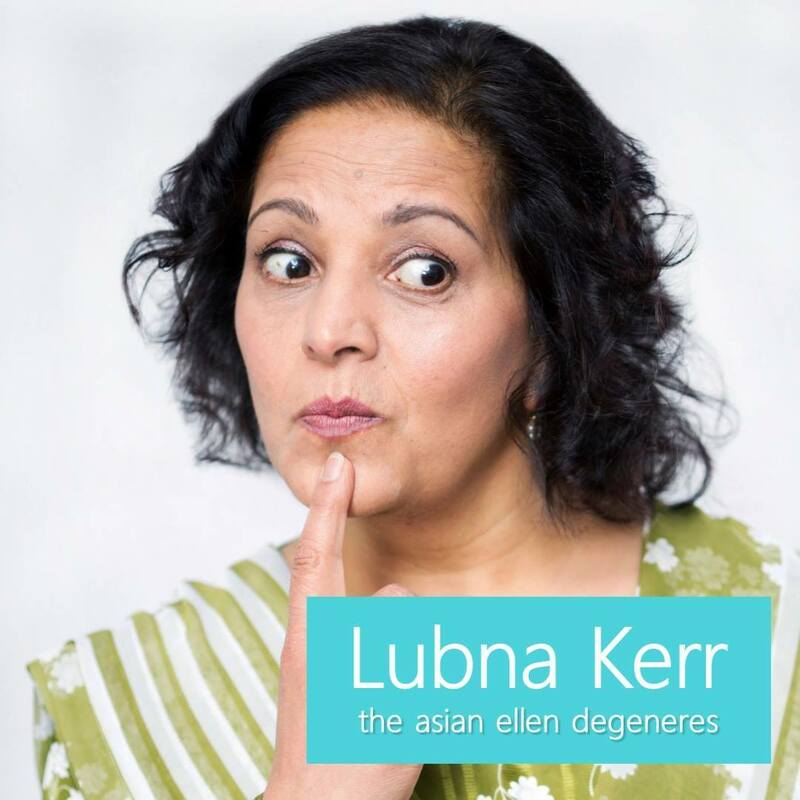 Lubna does character comedy and has had stints and roles within the BBC and more! In 2014, she appeared as Meena from Still Game, Live at Glasgow SSE Hydro in 2014. You will have seen her in Scot Squad also. Soon to be seen in "Two doors down". Her nickname is a nod to the wonderful talent that is Ellen DeGeneres, who hosts her very popular talk-variety show over in America which averages 3.9 million viewers every episode, according to daytime TV ratings. Lubna's unique style of comedy brings laughter and joy to her jubilant audiences. You can print your ticket out or have it on your phone on arrival. There will be intervals where you can get up and get drinks.